(LifeZette) A friend of the woman who killed three people in a mass shooting at a Rite Aid distribution center in Maryland on Thursday (the scene is pictured above) said that she identified as a transgender male, The Daily Caller and other outlets are reporting. The shooter, identified by authorities as 26-year-old Snochia Moseley, did not have any prior criminal record, according to the Harford County Sheriff’s Office, and the Glock 9mm she used in the shooting was registered to her. While both the police and court documents identified Moseley, who was employed at the distribution center, as biologically female, Troi Coley, a high school friend of the shooter, revealed that she identified as transgender as early as 2016. 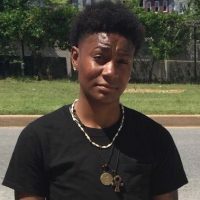 “I just started talking about [being transgender],” Moseley wrote in a Facebook message from December 2016, according to The Baltimore Sun.